If you're a fan of movie art, chances are that you're already well aware of Mondo. The Austin-based art company regularly puts out some of the greatest, most beautiful pop culture prints in the world, and while they are hard to get and sometimes a bit pricy, when you can get your hands on one it's typically totally worth it. You may remember them from their excellent M.C. Escher-inspired work for The Cabin in the Woods, but today they've unveiled their latest project: Marvel's The Avengers. Though there will eventually be seven posters in total, the first two pieces from the Mondo Avengers series have arrived online and both are pretty spectacular. Featuring Black Widow (Scarlett Johannson) and Hawkeye (Jeremy Renner), the two posters could be more different, but they have their own, cool individual style. The minimalist design plus fantastic tagline - "From Russia...With Guns!" 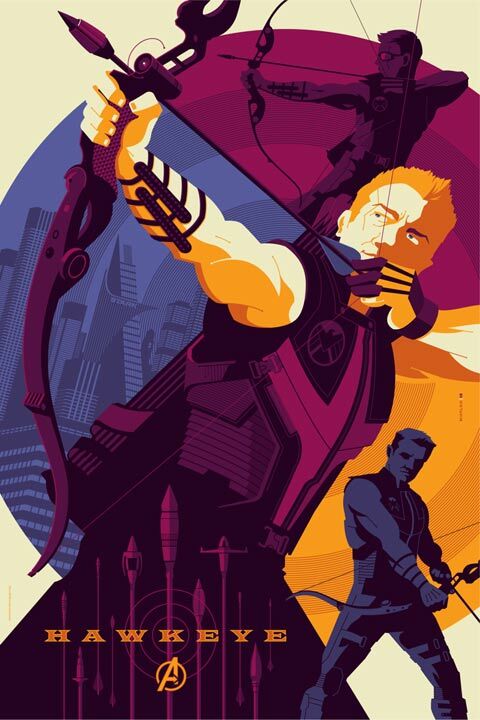 - on the Widow art is obviously a riff on the classic James Bond posters, while the Hawkeye design is more ripped-from-the-comics. Check out the posters below and click on each one to see it full size. After seeing these I have to imagine that the first thought going through your brain is "Please, for the love of god, tell me where and when I can buy them!" All Mondo sales are done through the company's official website, but the "when" question is a bit more tricky. 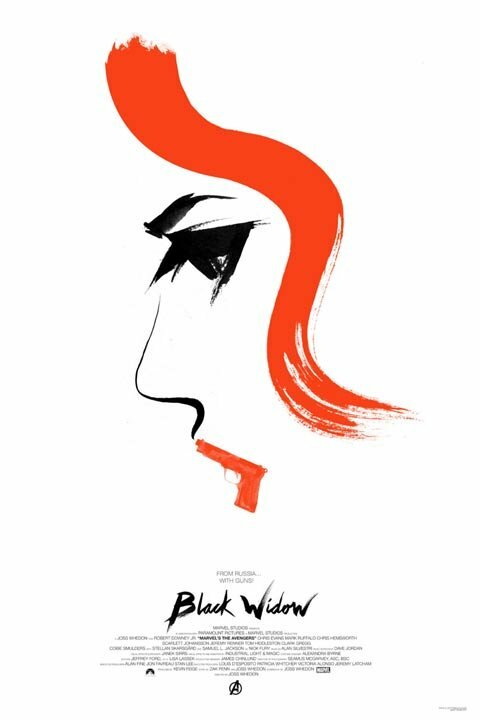 The Black Widow poster (drawn by Olly Moss) will be available tomorrow, while Hawkeye (drawn by Tom Whalen) will be for sale this Friday. In order to find out what time they will be available, follow the Mondo News Twitter feed and prepare to act fast when the sale is announced. There will be 320 copies of the Widow design for sale and only 220 of the Hawkeye one, so I can guarantee that they will go quickly. Personally, I'll be waiting to see what they do for Iron Man, Hulk, Thor and Captain America.